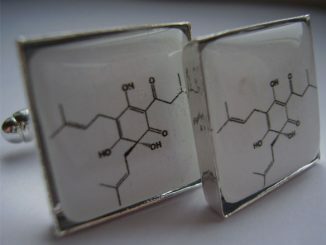 Geeky cufflinks are fun, but not always of the best quality and design. Sometimes the DIY feeling shines through a little too much. But it is possible to find them in good quality too. 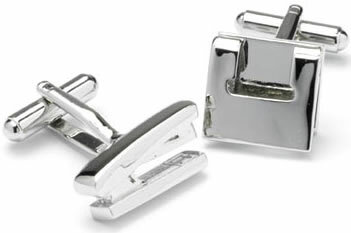 Cuff ‘N’ Collars offers a wide variety of beautiful cufflinks. Listed below are 10 favorites in the “geek genre”. They are all priced at £9.99 (about $19 USD) a pair, except the “Climate Nav I” ones, which costs £16.49 (about $33 USD). Test Card – television with black and white test card on screen. 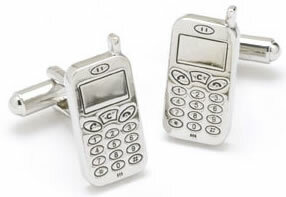 Gadget King – mobile phone. Favourite Tunes – personal music player. 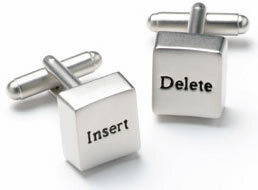 Pressing Buttons – insert and delete computer keys. 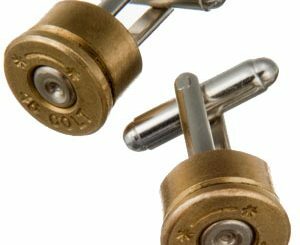 Office Help – stapler and hold puncher. 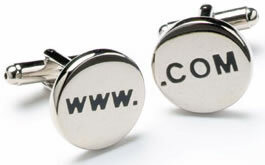 Internet Boom – WWW & Dot Com. 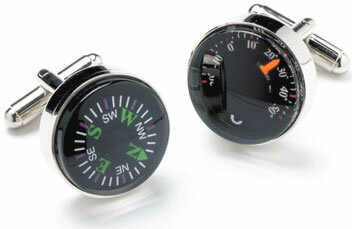 Climate Nav I – compass and Celsius thermometer. 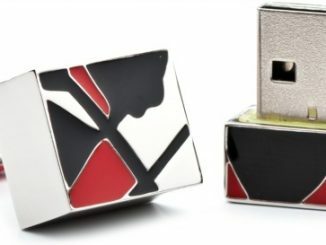 Internet Surfer – the @ symbol in black. 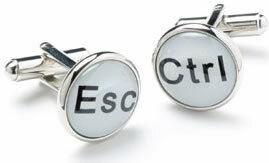 Control Escape – Escape and Control computer keys. 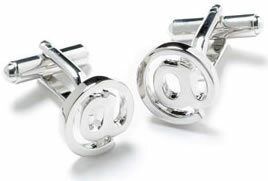 Email Mania – the @ symbol in silver. 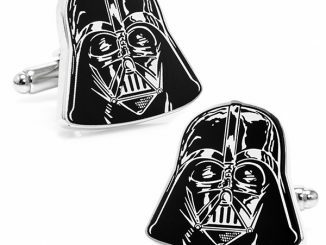 great cufflinks. Come to my site where there are even more options. Cool, thanks a lot for the info Pickupjojo! 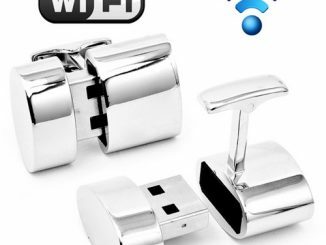 supply for digital photo frame. 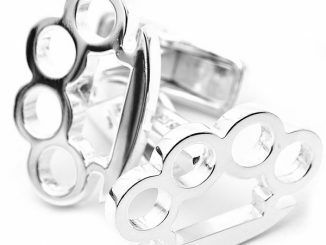 Mm, they look very stylish Jope! 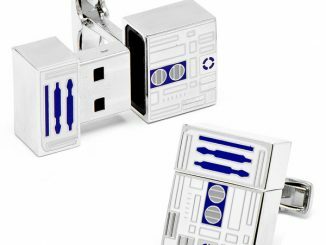 Perfect for the husband (geek) that has everything!! 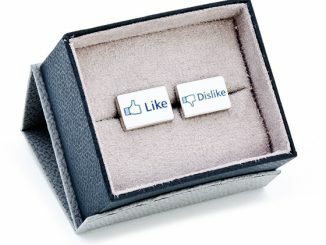 Wow these cuff links are very creative but at the same time very stylish. 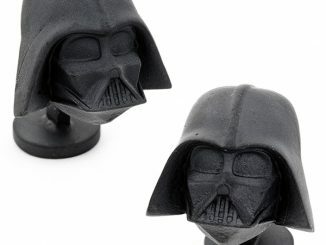 I know the inner geek in me really loves them. 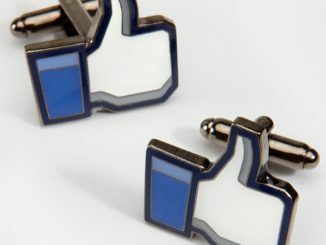 geek chic, or is that a chic geek? 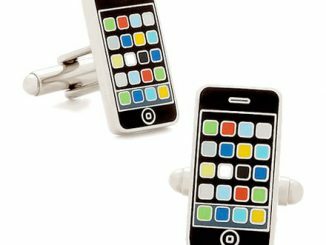 It’s amazing how much “geeky design” cufflinks are out there. Nice! 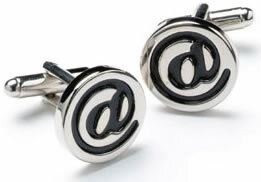 !, these would make a great gift for as an unusual pair of cufflinks, almost guaranteed that no-one else with have any like this.